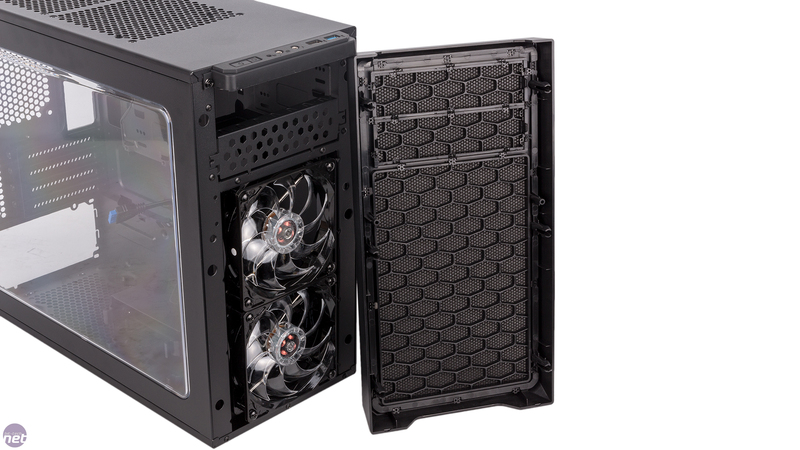 Today sees the debut of a new range of cases from Fractal Design: the Focus G family. 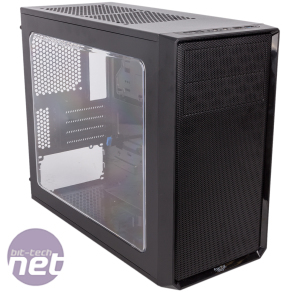 As we've seen before from the Swedish firm, the lineup will include both an ATX mid-tower design as well as a small form factor tower. As the 'Mini' in the name suggests, this case we have for review is the latter. 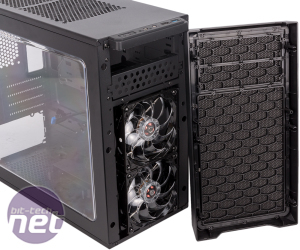 Fractal is no stranger to producing such cases – see the Define Mini C and Arc Mini R2 for examples – and with the Focus G Mini the company is very much targeting budget users, with this case coming in at less than £50. The Define series was radical back in the day for its minimalism, but Fractal isn't a company known for particularly striking case designs these days, and the Focus G Mini won't change that, although the Focus G, its larger sibling, comes in a range of colours including red and blue, which is a new direction for Fractal. 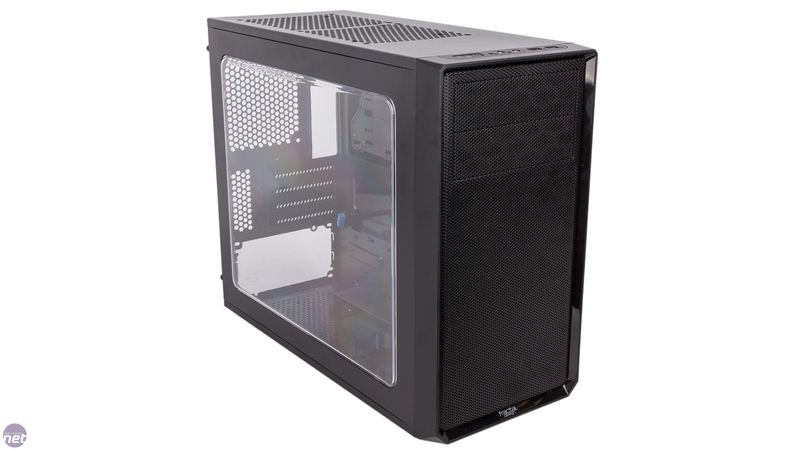 The Focus G Mini, meanwhile, is a fairly inoffensive black tower with extruded side panels including a large window on the left, a full mesh front section that's slightly indented and has a glossy trim, and even a couple of external 5.25” drive bays – something we haven't seen in a new case for a while. 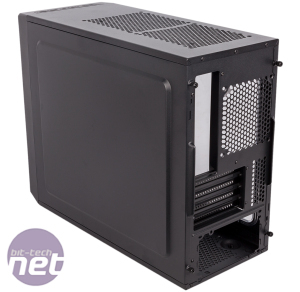 From the back we can see four expansion slots, the tell-tale sign of micro-ATX support, although dual-slot cards in the bottom slot of your motherboard won't be supported. Build quality is a bit underwhelming even with the price tag taken into account. The case is lightweight, and this isn't surprising, as a quick examination of the steel reveals it to be thin and relatively weak. Having plastic instead of rubber-tipped feet is also a common sign of cost-saving and not one we're fans of. 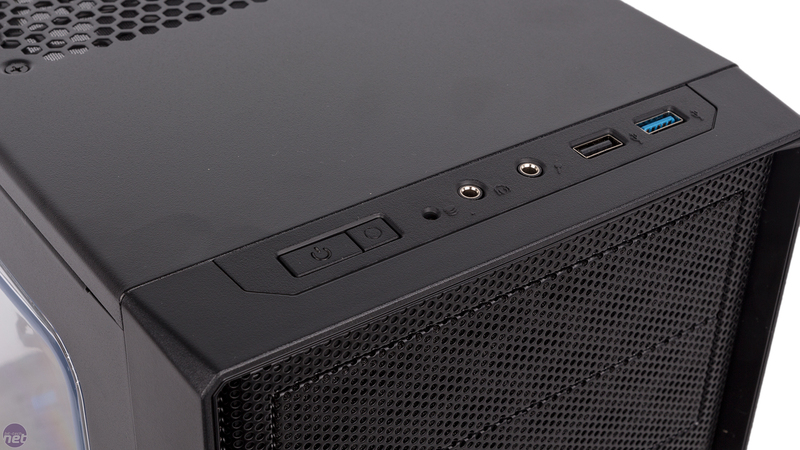 The front I/O panel is well positioned at the front of the roof and should grant you easy port access regardless of whether the case is on or under your desk. It's a shame only one of the USB ports meets the 3.0 standard, however. 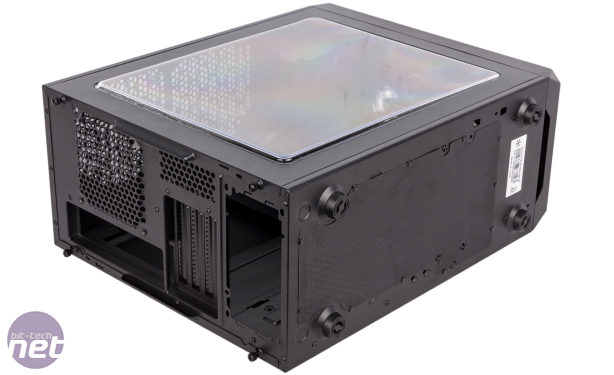 Dual Silent Series LL 120mm intake fans are installed up front, and both have white LEDs that glow nicely through the mesh section. These are the Focus G Mini's only fans, so Fractal is relying on positive pressure for exhaust airflow, although the roof and rear combined give you three fan positions that you could fill yourself. 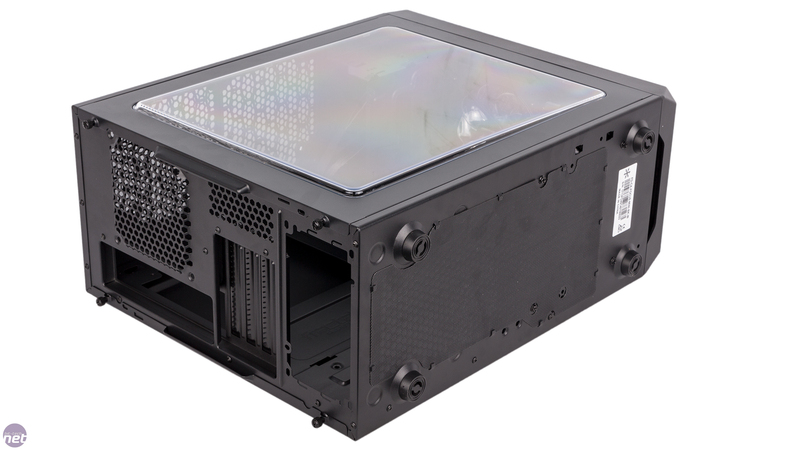 It also looks like you can install a 120mm intake fan in the bottom, although you'll need to remove the internal HDD cage first. 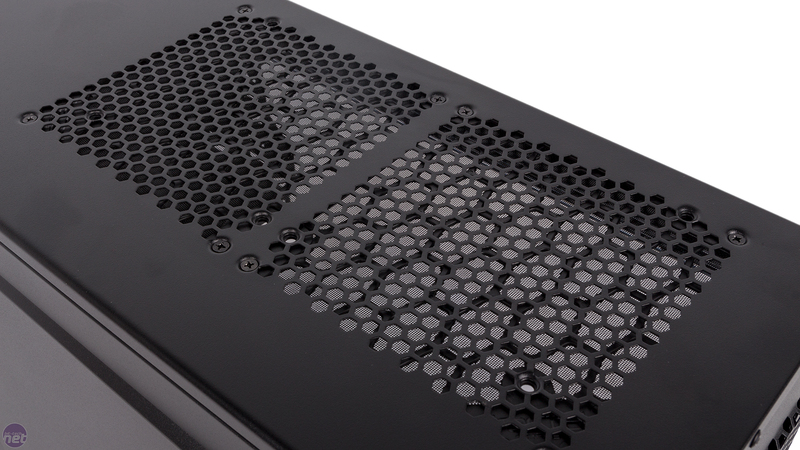 Thankfully, Fractal has not overlooked dust filtering in its efforts to drive down costs. The implementation of the filters isn't as user-friendly as it could be, but at least they're there. 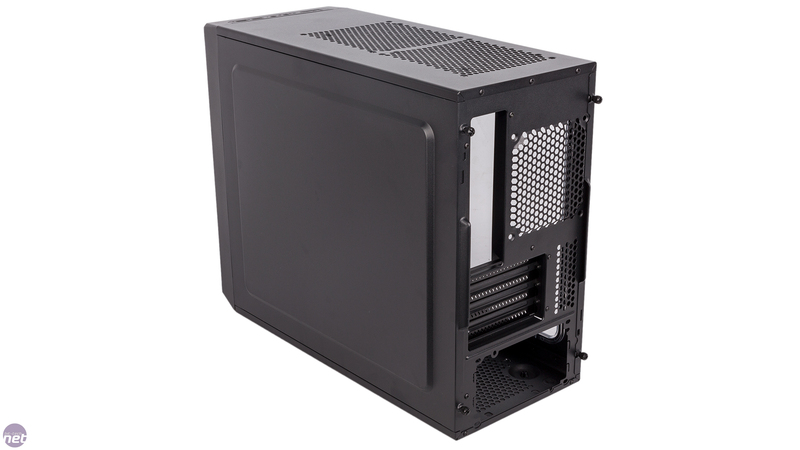 The bottom has a single thin sheet protecting the PSU and the lower fan mounting area all at once – it's pretty fiddly to work with and a far cry from those that simply slide out to the back or side. The front panel simply has foam-style filtering built into it, and this is easily cleaned since the whole panel comes off with ease. 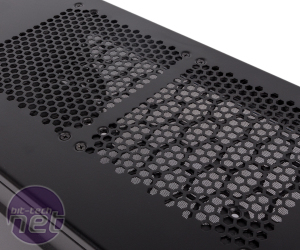 Even the two roof mounts have dust filters, and this time they're individually removable via screws. Drive bays 2 x 3.5"/2.5", 1 x 2.5"